Healthcare sector in India is poised to transition into an era marked by improved delivery of healthcare services driven by new and emerging technologies like Artificial Intelligence (AI), Machine Learning (ML) and Internet of Things (IoT). But at the heart of these new strategies for enhanced and low-cost healthcare will be Big Data. Big Data will touch all the stages of healthcare delivery be it prevention, diagnosis or treatment. Already few leading hospitals and healthcare research institutions in India are leveraging the power of Big Data analytics in cancer treatment. Hospitals empaneled under various Government of India insurance schemes are IT-enabled with access to user data of beneficiaries. Further, with improved data services, mobile technology will also play a key role in healthcare delivery. So, what are the possibilities made possible by Big Data? As consolidation sets in, leading to large players controlling hundreds or even thousands of beds at each of their facility, manual monitoring of vitals will make way for wireless sensors that will transmit such information. Big Data technologies will enable real-time analytics that will flag off any dangers to patients’ health. By using algorithms, predictive analytics can also be deployed to predict any potential health threat to patients, beyond mere alerts on fluctuations in vitals. Even after patients have been discharged, their health can be monitored in a similar way as patients may skip their medications, ignore dietary or self-care instructions. For instance, at Hortonworks we work with UC Irvine Health in the US to flag off unsafe weight gain thresholds in patients with heart problems after their discharge from the hospital. This is achieved via wireless scales provided to these heart patients. The data from the wireless scales is analysed using predictive analytics tools and the doctor attending the affected patient is alerted. Considering the rapid pace of innovation and proliferation of start-ups in India’s healthcare sector, we will witness such use cases here too. The key to finding new treatments to different types of cancers lies in mapping and studying of human genomes. But a single genome contains about 20,000 genes. It is not possible to store and analyse such humongous amounts of data using conventional data platforms. Advanced Big Data technologies are the answer as they are reliable and cost effective. Imagine this, Big Data technologies will not just help manage genomic data for discovering new cancer treatments but also to store the information for posterity. Healthcare institutions, research facilities and universities can access and use such medical research data for more downstream research through Big Data platforms. 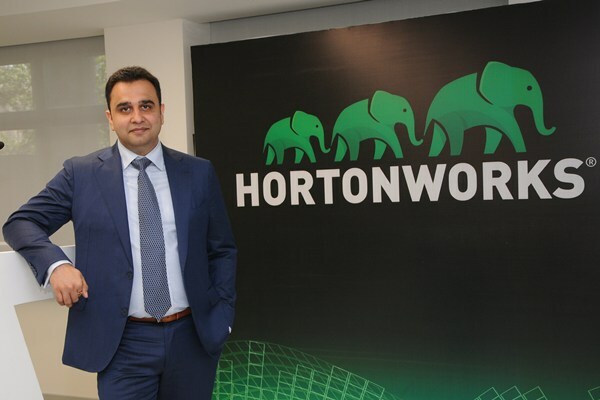 In the US, the Arizona State University is using Hortonworks Data Platform to unravel treatments for liver cancer, something they could not do when they were using simple data applications. Using sensors and RFID, healthcare players in future will locate personnel, improve operational efficiencies and plan staff training initiatives by leveraging healthcare predictive analytics. Already few hospitals have begun to track equipment and medicines (so they can use them before their expiry date) moving through their premises. Pharmacy chains too can benefit from such tools as data analytics enabled by Big Data technologies will lead to better inventory management. Big Data platforms will not only play a role in the physical world but also in the digital as mobile health applications’ adoption rates shoot up. Today, smart phones and watches are collating data related to key health parameters. As the concept of ‘bedless hospitals’ becomes more prevalent, such data can be analysed in real-time for diagnosis and treatment and not to merely count the number of steps taken. In conclusion, Big Data will power most of the transformation in the healthcare sector as the focus shifts to improved delivery of healthcare services. India has led the way when it comes to deployment of latest technologies across industries, learning and adapting from other innovators. In the healthcare sector too, India is uniquely positioned to surge ahead of other countries by taking advantage of Big Data technologies. Big Data can propel the sector into the pink of its health.